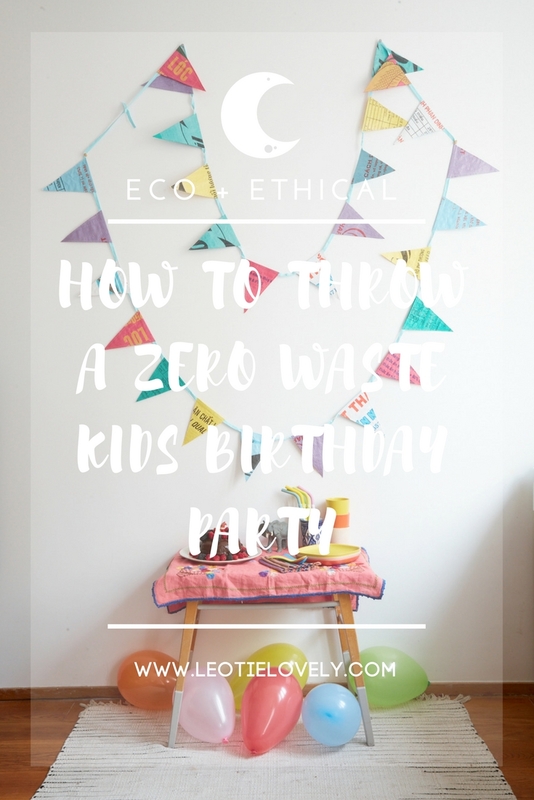 I've been to my fair share of birthday parties in my grand ole 32 years, but it wasn't until I started on this journey into zero waste living that I realized how dang wasteful they are. Sure, paper plates and napkins can biodegrade, but when you think about the circular story of things, how much energy and trees (which only do the small job of making oxygen, sequestering carbon, fixing nitrogen, distilling water, providing habitat for hundreds of species, accruing solar energy's fuels, making complex sugars and food, changing colours with the seasons, creating microclimates, and self-replicating) actually go into the creation of things, it no longer seems so cool to celebrate ones birth, or the birth of others, by punishing the planet in the process. 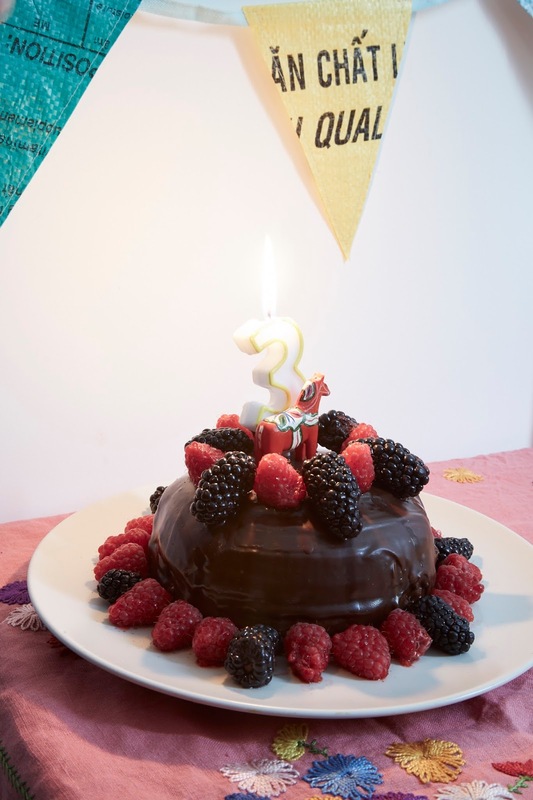 So, I gathered up some undoubtably imperfect solutions to the party waste problem for any upcoming celebration consideration, so we might as they say: "have our cake and eat it too" without causing any person, place or thing any pain. 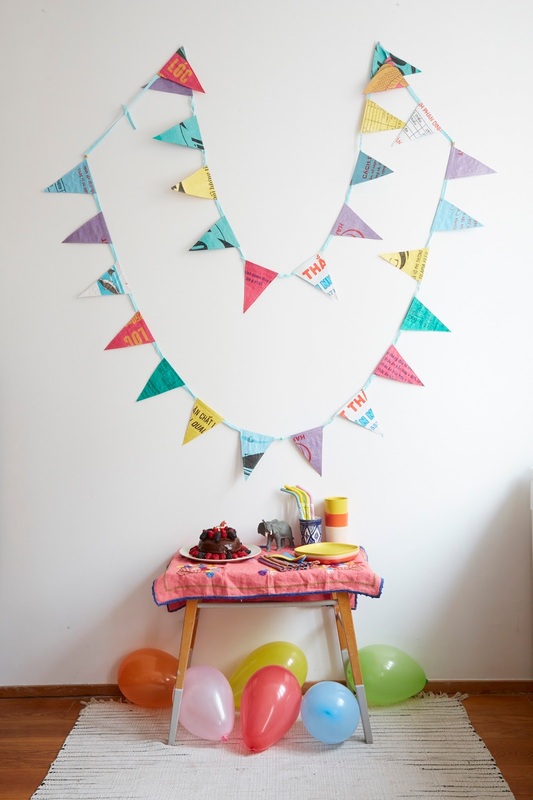 Say "nopes" to throw away bunting and "heck to the yes" to reusable bunting like this colourful creation by Lost In Samsara which is ethically made from upcycled rice sacks. You can use it for parties or permanent decoration in your kid's room, it's waterproof, rip proof and each one is unique. You don't have to be Betty Crocker to cook your a cake, there are tons of super simple healthy-esque recipes on Pinterest that'll make you look like you're the king / queen of all things. 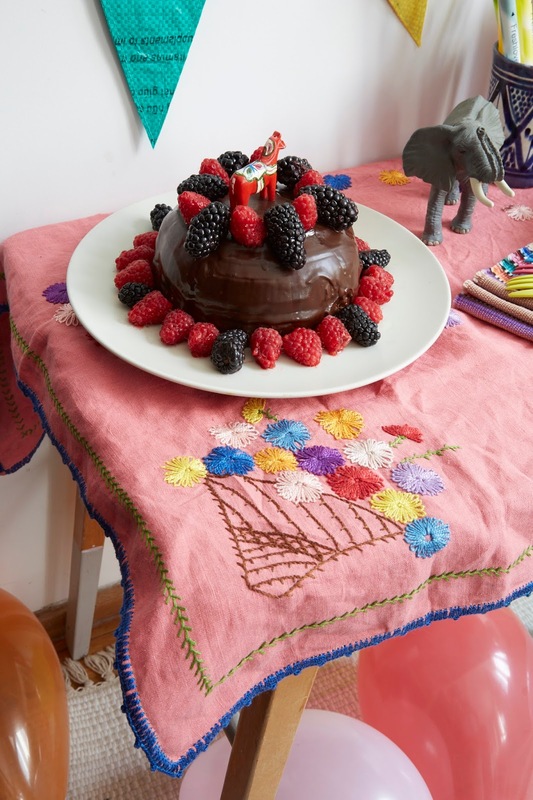 My favourite cake when I was a kid (slash now) was an ice-cream cake my mum used to make, which you don't even need to bake. I couldn't find the same recipe online, but this one is similar. You make a Rice Krispie base, either with marshmallows or chocolate then you spread ice-cream or a vegan ice-cream over the top and decorate it with fruit and a little figurine from your kid's toy collection, then stick it in the freezer. It's super easy, colourful, and looks amazing. If you really don't have time to make a cake, which many parents or party hosts quite honestly don't, buy one instead from a local bakery, rather than the store bought mass produced ones. You can make it whatever theme your child desires by popping a figurine that they already play with on it as decoration. Burst balloons end up in our landfills and waterways and are often mistaken as food by animals, causing injury and often death. While it's better to avoid balloons all together, there are some made from natural latex which are biodegradable and will decompose on their own in six-months to four years. It's important to dispose of them responsibly in your own compost or someone else's, if you're going to use them, otherwise in that six month period they will end up in the landfill and waterways anyway and still cause harm to wildlife. You can read more about the issues with balloons HERE. 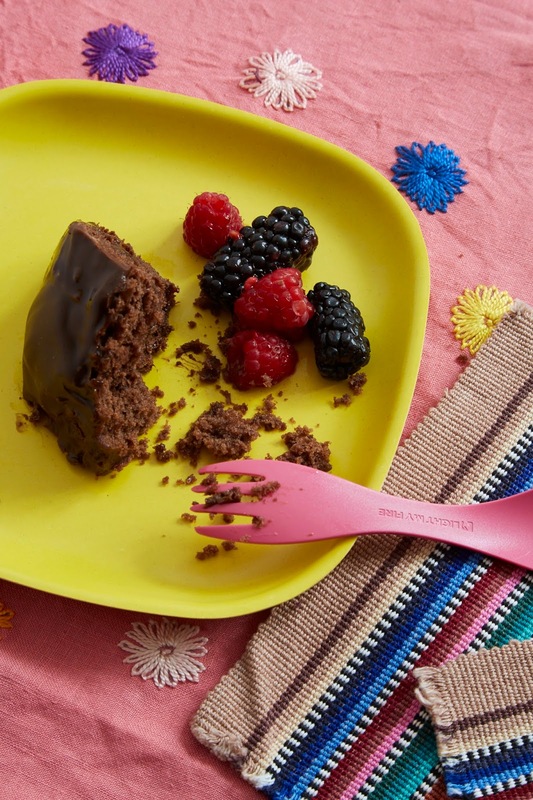 These super sweet and easily portable Light My Fire sporks are super useful and make a great goodie bag gift. They're BPA free, super resilient, heat-resistant, and made from Tritan which won't melt in hot or boiling water. You can write each child's name on it with permanent marker or tape, let them use it for the party and then pack it away in their goodie bag. You can read more about why we need to break up with disposable cutlery HERE. 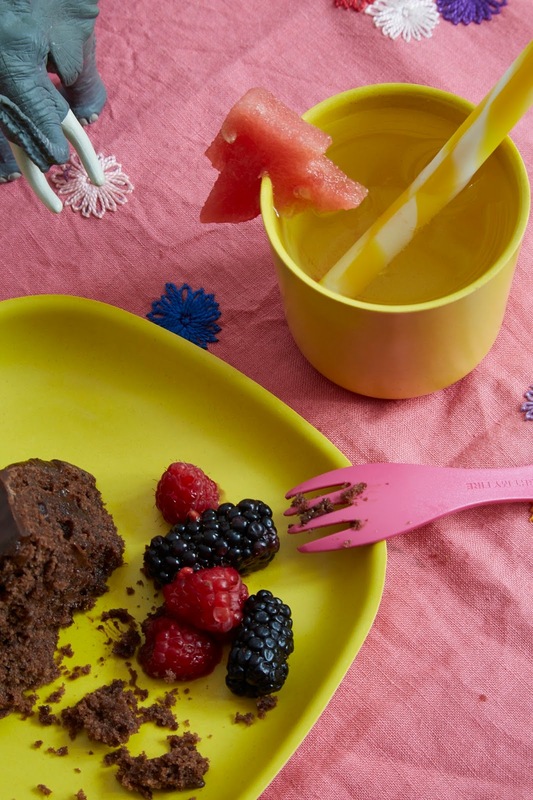 While it is a bit of an investment for an entire birthday party, having reusable (unbreakable) dinnerware for you to use at home, for parties or picnics is a excellent way to save money in the long run while protecting the planet. 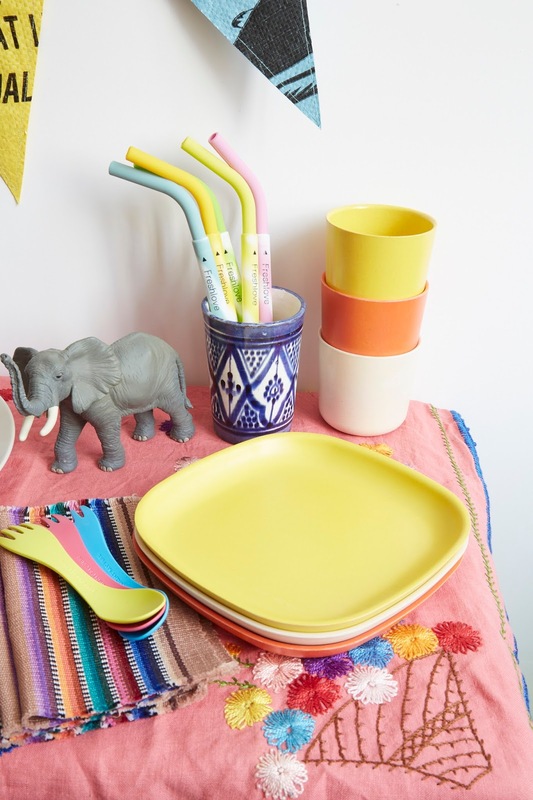 I love bamboo dinnerware by Biobu and Love Mae for kids specifically, but if you'd rather just invest in a full set for the whole family, I'd suggest getting enamelware from Shop Terrain or Falcon Enamelware ... or anywhere else you can find it! 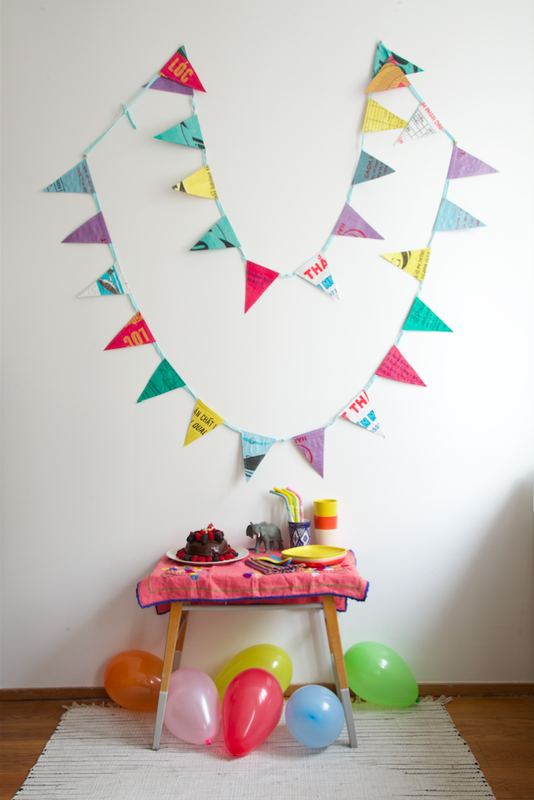 Another point of contention in the needless waste section of party planning perfection are straws. There are some pretty upsetting images and videos of wildlife with straws stuck in their throats, noses and mouths and the only way to avoid it is to try to stop using them or use reusable ones. 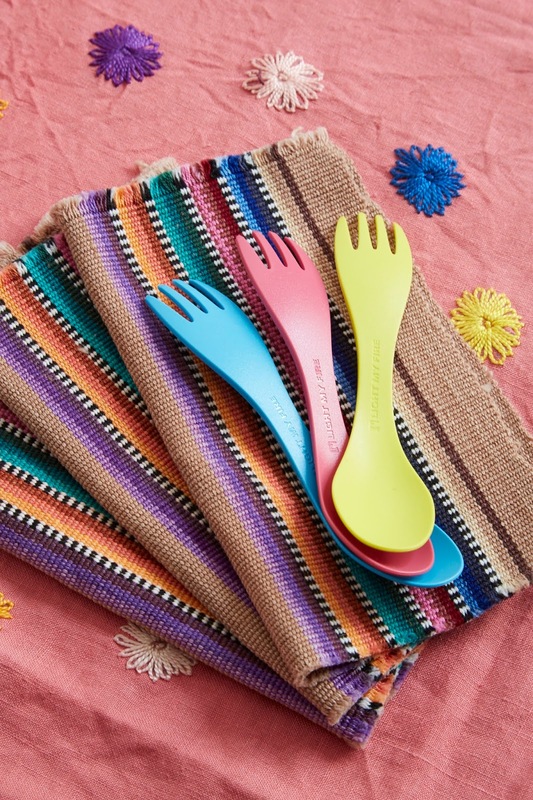 There are paper ones available, but the best move would be to buy a pack of reusable ones, and like the Light My Fire sporks, give each child one in their goodie bag to take home with them. You can write their name on it or put their name on tape and put it around it. But it's a great way to raise awareness and hopefully put a stop to the 500 million straws, (enough to fill over 46,400 large school buses) americans alone send to the landfill each year. If you'd like to read more on straws I've got a post HERE. 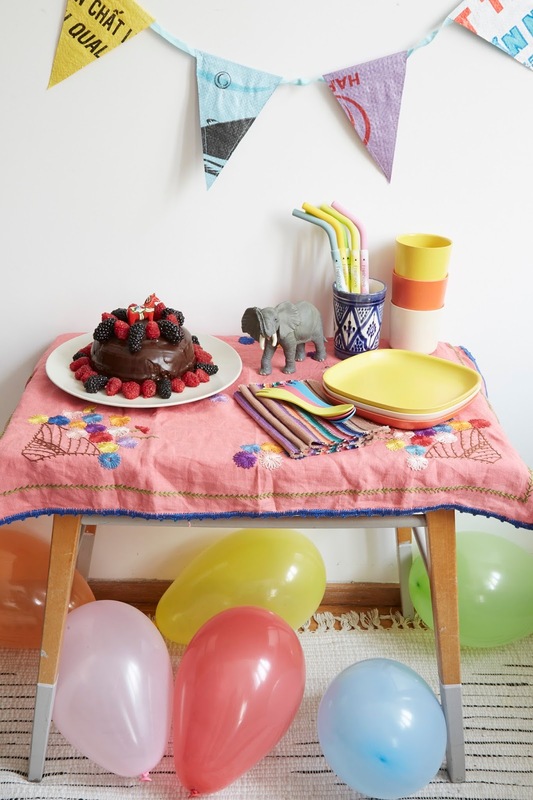 One of those zero waste moves I've never regretted is keeping a reusable cloth napkin with me wherever I go, and with kids this is even more of a must have when you're on the go, as well as when you're throwing a party for tiny folk. But rather than having a bunch of paper ones that end up being thrown out, have some lovely fabric ones you can wash and reuse over and over again. Same goes for the table cloth. You can get them on Etsy, Amazon, or at your local second hand shop and they'll brighten up the party better than even the most lovely store bought paper ones. Most candles are made with paraffin, which is a petroleum by-product. There are a lot of nasties that go into creating paraffin candles which is why it is best to just avoid it as it pollutes the air around you and there are currently no regulations which go into making them. Try instead buying candles made from beeswax, coconut wax or soy wax instead, which will harm neither you nor the planet. You are THE COOLEST mom ever! I want to be just like you when I grow up and have children :) How inspiring. Thank you so much for this post. I am going to share it with all my Mom friends!